This was a rare treat for fans of both cutting edge jazz and oud mastery. 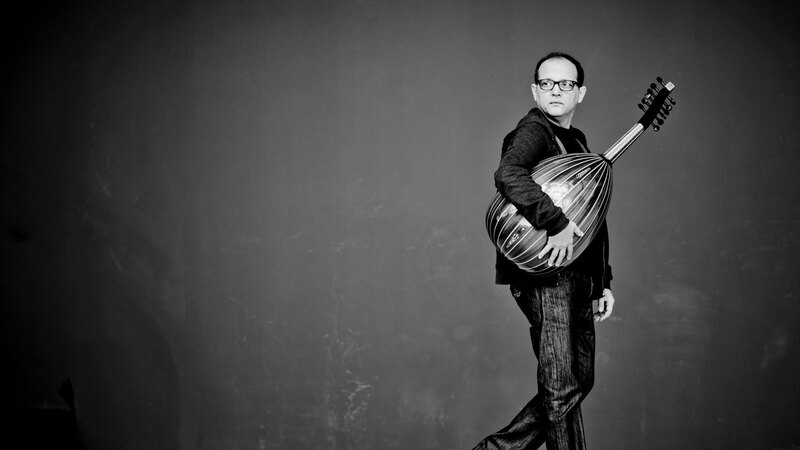 Anouar Brahem was born in Tunis, Tunisia in 1957 and grew to become a master of the oud, the ancient stringed instrument sharing a common ancestor with the European lute and considered the chief instrument of Arabic music from Morocco across the Mediterranean to the near East, Iran and Iraq. Moving to Paris in 1981, Brahem began experimenting with folk music and jazz, and has achieved a wonderful fusion with the latter. His last album Blue Maqams, released in 2017, which formed the basis of Saturday’s concert, is a sublime exercise in this collaboration. It featured Brahem on the oud, with Dave Holland on the double bass, pianist Django Bates and Nasheet Waits on the drums. All superb musicians, the result was a chilled out, sophisticated performance. The subtle interplay of the oud and double bass was effortless, the silky piano playing interwove hypnotically, and all underpinned by mastery of the percussion. All superb musicians, each had the opportunity to show the extent of his talent on the night. The four piece band took to the stage at 8pm. There was little interaction with the audience other than for Anouar to briefly introduce the band. It did not seem essential on a night where the music did the talking. There was minimal variation in the arrangement although piano player Django Bates did sit out a number of tracks, lurking side stage watching his band members perform. Each player did have their moment in the spotlight, with a subtle focus on each instrument at different times during the night. The quality of the musicians was obvious, and their reputations preceded them. It was something of a treat to see Dave Holland play double bass. He is now in his seventies and at one time shared the stage with Miles Davis and Herbie Hancock. Nasheet Waits on drums was equally impressive, holding together the various strands with ease. Django Bates did occasionally take the limelight, leading on several tracks but really the night was a celebration of Anouar and the oud, an instrument that throws up images of another time and place. Closing one’s eyes and sinking into the sounds was to be transported to the Mediterranean, sailing from the jazz of the Cote D’Azur to the clubs of Beirut. If it were food, it would have been a dark chocolate mousse with fresh cream, fig and pomegranate served on a warm terrace overlooking the sea under a starry sky. It was a polished performance that deservedly brought the audience to its feet at the finish.